Whiteheads, also known as closed comedones, are small white bumps that form when sebum, dirt, and skin accumulate in the pores. They often occur with acne and are often found on the face, back and chest. Factors that can increase your likelihood of having whiteheads include; an overactive sebaceous gland, eating greasy foods, perspiration, genetic factors, and hormonal changes. Drink a lot of water daily to keep your skin fresh and supple. Keep your face fresh and clean by washing it twice a day. Eat a well-balanced diet that contains adequate quantities of vitamin E and A. Avoid picking your face with your hands. Avoid oil-based cosmetics. Preferably, use cosmetics that are labeled “non-comedogenic”. Ensure you keep your skin moisturized. Avoid exposure to midday sun. Minimize your consumption of greasy foods. Do not burst your whitehead as they may exacerbate into full acne. Ensure you change your pillow cover every week. One of the best home remedies for whiteheads is a sugar scrub which not only removes excess oil from the skin but also exfoliates dead skin cells, in a mild way, to expose fresh and blemish-free skin. Take one teaspoon each of sugar and honey in a bowl and mix well. Now add a little lemon juice to it. Spread it while massaging in a circular motion on the skin. Let it stay for a few minutes and wipe it off with a clean wet washcloth or towel thereafter. Then, wash your face and pat dry. Do this two times weekly. Steam enables the pores to open up and removes the oil and dirt trapped in the pores. Steam can effectively get rid of whiteheads in a natural way. It also helps in softening the dead skin cells and removing them in a gentle way. Boil a few cups of water in a pan and turn off the heat. Place the pan in a safe and comfortable place and bend over it. Wrap a towel around your head to allow the steam to soak in your skin. Let it clean your pores for 5-8 minutes and wipe your face dry thereafter. Alternatively, you could simply soak a towel in warm water and remove the excess water. Then, put the warm damp towel over your skin for a few minutes to deep clean your pores. Apple cider vinegar has astringent properties that pull out excess oil from the pores and reduce the formation of whiteheads. It also kills bacteria on the skin due to its antiseptic and antibacterial properties. Take a cup of water and mix a tablespoon of apple cider vinegar to it. Dip a cotton ball in it and apply it to the whiteheads. Oatmeal is a natural exfoliant and can remove dead skin cells, dirt and grime from the pores to make your skin healthy and free from whiteheads. Grind some oatmeal and mix it with water to form a thick paste. Let it stay on your skin for 10 minutes and scrub off using a gentle motion. It will reduce blackheads as well as whiteheads and also help in reducing pore size. Wash your skin with water and do it two times in a week for satisfactory results. Baking soda is another great remedy to get rid of whiteheads. It cleanses away the excess oils that tend to deposit in the pores along with dead skin cells that clog the pores. Take 1 teaspoon of the white powder in a bowl and add water to make a thick paste. Spread this paste on the skin and let it stay for a few minutes. Then, rinse off thoroughly with water while scrubbing in a gentle way. Note- People with sensitive skin should not use baking soda. Milk has a cleansing action which treats the whiteheads in a great way. It will also help in reducing pigmentation of the skin and make it flawless. Just mix some salt in a few teaspoons of milk and massage it gently into your skin. Rinse of thoroughly with water and pat dry, Do this 3-4 times daily for effective results. Toothpaste has a drying action on the skin which helps in eliminating acne, pimples as well as whiteheads. Take some toothpaste on your fingertip and cover the affected area with a thin layer of toothpaste. Let it completely dry. Then, wash off to get rid of excess oil and dirt that causes breakout and whiteheads. Tomatoes contain a substance, called lycopene, which is great for reducing whiteheads on your skin. Besides, tomatoes also act as an astringent to reduce pores size. Peel a tomato and mash it to make a paste. Spread it with the help of a spatula on your skin and let it stay until it completely dries off. Rinse thoroughly with water. Both egg and honey are great for a beautiful skin. 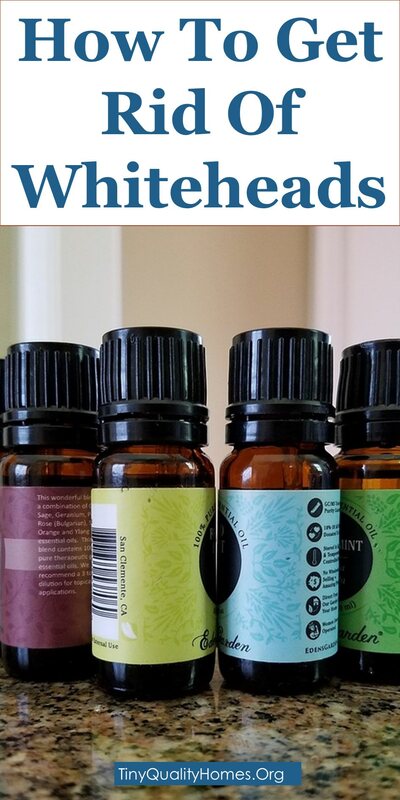 The mixture can help you reduce whiteheads in an incredible way. Eggs tighten the skin which naturally eliminates the whiteheads. Honey moisturizes the skin to control oil production. Just take 1 egg white and add a tablespoon, each, of warm honey and yogurt. Also, add half a teaspoon of almond oil and mix well. Cover your skin with the mask and let it stay for half an hour. Wash off with warm water thereafter. Potatoes have antioxidant properties and can fight against bacterial infections as well as keep the skin free from acne, pimples, and whiteheads. It also tightens to pores and makes skin smooth and radiant. Extract the juice of a potato and rub it on your skin. Leave it on your skin for 10 minutes or until it dries and rinse with water. Do it at least once every day to remove whiteheads. The acidic nature of citrus fruits, like lemon, aids in reducing excess oil from the skin. In addition, lemon has an exfoliating action that helps in getting rid of trapped impurities from the skin. Simply rub a lemon wedge on your skin or extract the juice of a lemon and apply it with the help of a cotton ball. Rinse off thoroughly after a few minutes. Coconut oil has a cleansing action on the skin. It can pull out toxins and oil from deep pores making it clean. It also moisturizes the skin and kills the bacteria, thus, reducing whiteheads in an incredible way. Take extra virgin coconut oil and rub it on your skin. Massage in gentle circular motion to make the skin soak the oil. Let it stay for a few hours. You will notice the whiteheads diminishing in just a few days time. Bentonite clay is a great ingredient for the skin. It can help in eliminating excess oil from the pores of the skin making them free from trapped impurities. Put some bentonite clay in a bowl and add a teaspoon of honey to it. Now add water to make a paste. Apply this mask to your skin and let it dry. Rinse off thoroughly with warm water thereafter. Turmeric, due to its bioactive constituent called curcumin, can heal the skin and eliminate numerous skin problems. It acts as an antimicrobial agent that helps reduce skin infections. Take a few teaspoons of powdered turmeric in a bowl and add water to make a paste. Spread it evenly over your skin and let it stay for at least 20 minutes. Then, wash off with water thereafter. However, note that turmeric may stain your clothes, so make sure to wrap an old towel before using this ingredient. Packed with antioxidants, green tea works well in reducing skin problems including whiteheads. It reduces the sebum production in the skin and aid in drying out the whiteheads in an excellent way. All you have to do is just take a used green tea bag and put it in the refrigerator for 5 hours. Place it on the whiteheads and apply it every 2-3 hours. You will start to see improvement in a week. 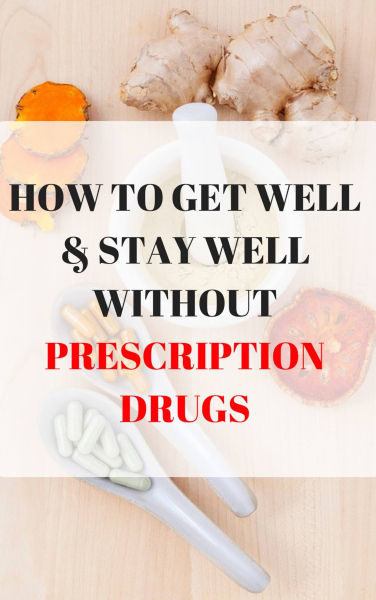 Aspirin is readily available and can be used to deal with a number of skin problems such as acne and whiteheads. It contains salicylic acid which sloughs off dead skin as well as kills harmful bacteria and prevents them from thriving on your skin. Crush 2-3 tablets of aspirin and mix it with water to make a thick paste. Apply it over the whiteheads and let it stay for a few minutes. Wash off with water. It will help in drying out the whiteheads. The composition of jojoba oil matches well with that of the sebum produced naturally by our skin. Therefore, it reduces the production of sebum and keeps the skin free from whiteheads. Rub the oil on your skin and massage in a gentle way before going to bed. Do it every day and let it stay overnight on your skin. Rose water helps in unclogging the pores of the skin and removes dead skin cells and impurities. It can be mixed with lemon juice to clean away excess oil, dirt, and bacteria from the skin. Take one tablespoon each of rose water and lemon and mix well. Dip a cotton ball in the mixture and apply it over the whiteheads. Let it stay for 20 minutes and wash off with water. Aloe vera soothes the skin while lemon juice kills bacteria. The combined action of these ingredients makes the skin clean and clear. Extract the jelly-like pulp from aloe vera leaf and mix it with a teaspoon of lemon juice. Use this mixture to massage your skin and let it stay for 10 minutes. Rinse off with water thereafter. Repeat this 3 times weekly to get rid of whiteheads. Garlic aids in killing the bacteria that thrive on the skin pores and causes the pores to clog. Take a bowl with 1-2 tbsp of water and add 2-3 fresh garlic cloves in it. Then, crush the garlic cloves in the water and let the juices come out and mix with the water present in the bowl. Cover your skin, with this mashed mixture, with the help of a cotton pad and allow it to stay for 5 minutes. Soak a cotton pad with rose water and wipe off the garlic water from your skin. Tea tree oil possesses antimicrobial properties which help in killing harmful bacteria present on the skin. This greatly helps in drying out whiteheads from the skin. It also helps in treating acne in a natural way. Dilute some tea tree oil in water. Then, dip a cotton ball in it. Move the cotton ball gently over the whiteheads. Repeat this twice every day until you see improvement. Fenugreek is another great remedy for whiteheads. It can kill the bacteria that thrive in the pores and cause whiteheads, pimples, and acne. Take a tbsp of dried fenugreek leaves and add water to it. Apply this paste to the part of your skin affected with whiteheads and allow it to stay for 15 minutes. Rinse thoroughly with water thereafter. Do this twice weekly to get rid of whiteheads. Witch hazel acts as a natural astringent for the skin and helps in dealing with excess oil and clogged pores thereby reducing whiteheads. Simply pour some witch hazel into a bowl and dip a cotton ball in it. Apply it to your skin and let it dry. Do this two times every day for effective results. Olive oil can be used to make a mild exfoliating scrub that removes oil and impurities from the skin. Olive oil moisturizes the skin and controls the oil production which helps in reducing whiteheads. Take 1 tablespoon each of olive oil and brown sugar and mix well. Use it as a scrub and massage on your skin for a few minutes. Wash off with lukewarm water. Indian lilac leaves have an antimicrobial effect on the skin which helps in killing the bacteria trapped with oil in the pores. Boil a half cup of water with Indian lilac leaves and a few orange peels. Let the water evaporate and mash the boiled contents. Add honey, soy milk, and a little yogurt to it. Then, apply this mixture to the area affected with whiteheads and let it stay for a few minutes. Wash off to discover smooth and supple skin. Cornstarch is great for removing the excess oil from the skin and drying out the whiteheads in a natural way. Prepare a mask by mixing 3 parts of cornstarch in one part of vinegar. Spread it on your skin with the help of a spatula and allow it to stay for 25 minutes. Rinse off thoroughly with lukewarm water. Almonds are great for removing whiteheads. They contain a high amount of vitamin E that protects the skin against free radical damage. Grind a few almonds to obtain a fine powder. Add some oatmeal to it and mix it with rosewater to make a paste. Apply this paste to your skin and let it stay for about 25 minutes. Wash off using cold water thereafter. Sandalwood has an astringent effect on the skin which helps in absorbing the excess sebum from the skin and reduce the appearance of whiteheads. Take a teaspoon of powdered sandalwood in a bowl and add rose water to make a paste. Apply this paste evenly on your face, especially in your T-zone. Allow it to dry off completely. Rinse with water and pat dry. Gram flour helps in reducing whiteheads by eliminating excess oil and impurities from the skin while nourishing it. It also removes unwanted hair from your face making it smooth and radiant. Mix gram flour with raw milk and rose water to make a thick paste. Apply it evenly on the area affected with whiteheads and let it dry. Wash off thoroughly with water thereafter. Coriander leaves are a great remedy for whiteheads. It can clear off your skin in a short period of time. Grind some coriander leaves and add a pinch of powdered turmeric to it. Spread this paste on your skin and let it stay for some time. Wash off with water. Do this once weekly to get rid of whiteheads. Cinnamon can be used as a scrub to get rid of dead skin cells and whiteheads. It improves the skin’s texture. It also stimulates collagen production making your skin soft and smooth. Take 1 teaspoon each of powdered cinnamon and oat flour and add warm water to it to make a thick paste. Cover your skin with the paste and let it stay for about 12-15 minutes before washing off. Rice is another natural ingredient that helps in drying out the whitehead in a fast and effective manner. Soak some rice overnight and grind it to make a paste. Spread it evenly over your skin and gently scrub your skin with it. Wash with water and pat dry. All the dead skin cells will get removed revealing radiant and beautiful skin. Strawberries can diminish the whiteheads on your skin due to their mild exfoliating action. They also contain salicylic acid that sloughs off dead skin and also kills the bacteria that grow in the pores and enlarge the pores. Take 2-3 strawberries and mash them. Add a tablespoon of honey to the mashed strawberries. Then, massage the mixture on your skin in a gentle circular motion. Let it stay for 10 more minutes and rinse off thoroughly. Do it twice weekly for satisfactory results. Salicylic acid is capable of sloughing off dead skin in order to expose fresh healthy skin. Apply this cream to the affected part as prescribed on the cream’s tube. Ensure you moisturize that part of the skin, thereafter, as salicylic acid can dry the skin.